Ahh, spring cleaning. It feels good, doesn’t it? Opening the windows in the house! Leaving the barn doors open all night! I just can’t get enough of the fresh, spring air. 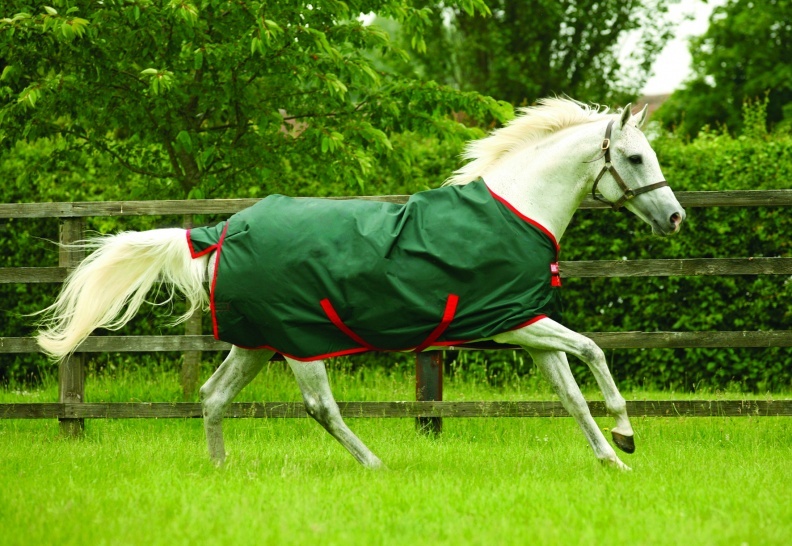 However, there is one daunting spring task all horse owners dread… Cleaning those winter blankets! They smell like pee, they are stained beyond recognition, they are covered with hair, and likely a strap or two is broken. Sometimes, it might be easier to toss it and get a new one. But, most of us can’t afford a new blanket each year, so we resort to getting them clean and even some jerry-rigging to fix holes and broken straps (don’t pretend you haven’t used duct tape as patch repair and bailing twine for a strap). Now, for me, I traditionally yank off the heavyweight, toss it in a garbage bag, and put it in the trunk of my car. Unfortunately, I forget about it. Until we are in the heat of summer, and I keep asking myself “what is that smell?” I do it every year, so you think I would learn… just wash it right away. But here we are, a few weeks into spring, and guess where my horse’s blanket is? That’s right… in my trunk, waiting until darkness when I can head to the laundromat to ignore the “DO NOT WASH HORSE BLANKET” signs, and toss them in (you all do it too, so don’t look down upon me). But over the years, I have learned that a quick wash doesn’t always do the trick. And, in fact, the last time I left it up to my husband to wash the blanket, somehow he melted the straps (not pleased, and the blanket was a total loss). Sometimes you have to get resourceful. Sometimes your blanket needs a good hose-down before it even faces the washing machine. Sometimes it needs the care of a laundry service. Whatever condition your blanket made it through this winter in, it needs some TLC this spring. I want to get the life out of my horse’s blanket (they aren’t cheap), so here are my thoughts and advice. If you let those dirty blankets lay around through the summer season, you might find weird mold growing on the inside, or even worse, find that the urine stains have pretty much eaten their way through the fabric. You don’t want that! Use a scrub brush and a hose before you ever throw it in the washing machine. Getting the extra mud and grime off will make a world of difference, and in the end, your washer will thank you. Don’t use the power washer. This will damage the waterproofing layer… and who really wants a non-waterproof blanket? An awesome little tip I learned along the way is to cover all metal clips with socks, and tie them on with hair ties. If you have removable hind leg straps – take them off. Otherwise, roll up the leg straps and shove them into the socks too. Nothing to get caught on in the washer! Imagine that! Rinse! The rinse cycle is important. Run it through twice if you have to. Soap that is left over can often cause irritation to your horse’s skin. Use a detergent formulated for horse blankets. These can be found at your favorite tack store. Do not use the dryer (remember above when I mentioned my husband melting my blanket). Those large dryers get too hot! A hang dry will do the trick. But, make sure it is entirely dry before you pack it away for the summer. Mold is bad! And, when you have exhausted all efforts, and maintaining that blanket any further is a burden, toss it. It is time for a new one. Lucky for you, many tack stores have sales on winter blankets during the spring. My final tip is to snag one up while they are on sale!